WTF Wednesday – The Letters I’ve Saved | ¡Marianísima! 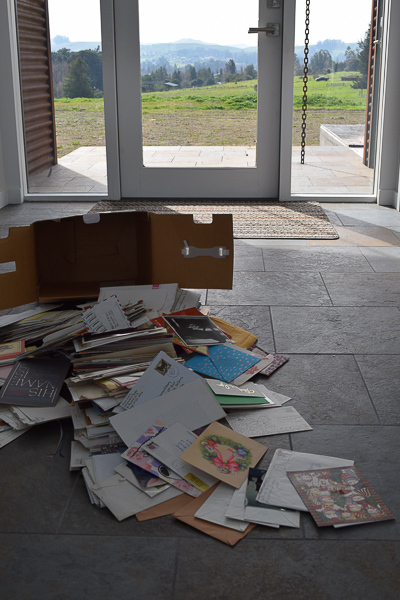 Recently, four different friends have said, “Seeing your house makes me want to go home and clear out all my clutter.” I find it ironic and hysterical that I, of all people, would inspire anyone to de-clutter. I’m such a recovering pack rat! The box barely survived this move. Why didn’t I just chuck the box in the recycle bin? I was tempted, very very tempted. But back in high school, I went on a retreat and part of that retreat was receiving surprise letters from our parents, telling us they loved us. 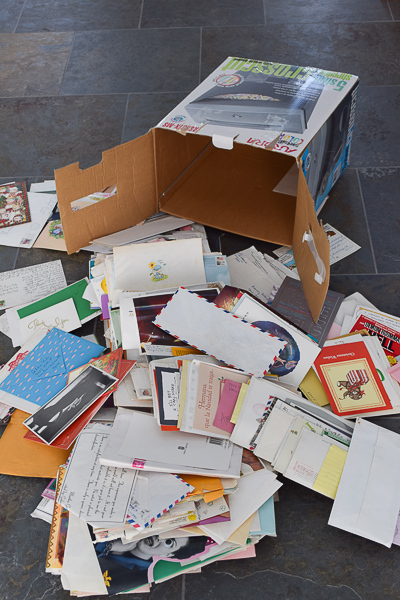 I’d misplaced those letters years ago, and wanted to find them, especially since my mom passed away. 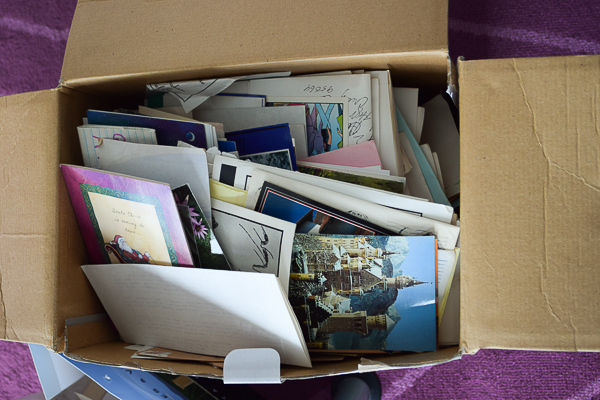 So many letters, so many memories. I want to get it done, so I can get outside! I rifled through, read very few, and found the missing letters from my mom and dad. I sat there in our entryway and cried. But then I felt light and ready for the purging task at hand. I’ve sorted by sender. I’m reading a few at a time, laughing and remembering, and chucking most of them in the recycle bin. The picture of the overturned box is unintentionally symbolic. The letters are in shadows…and a whole world of light and adventure exists beyond them.